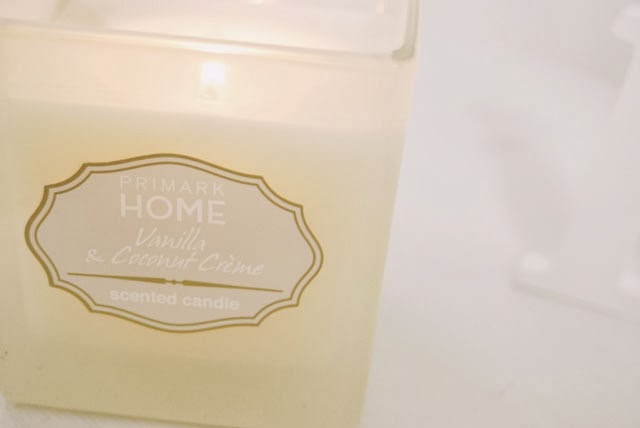 I love vanilla scented candles and I could not resist buying this in Primark. It was only £2 and it smells so, so good! I love the look of this candle. The square jar is a little different and it's made of pretty hefty frosted glass, so it's hard wearing. The smell is incredible! The vanilla and the coconut blends to create a really sweet scent. It's perhaps a little too sweet at times and can become a little sickly if I burn it for too long although the fragrance isn't too overwhelming. It burns well, just creating a little well in the middle of the wax, although I suspect it's going to miss out the wax in the corners of the jar and just burn down in a column. 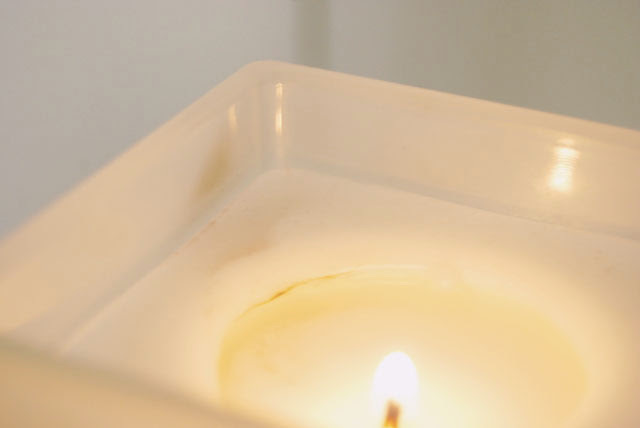 You can also see that the wick has made the candle and jar a little sooty. All in all, it's a sweet little candle. For only £2, it's definitely worth picking up! It looks a lot more expensive than £2! Mmm, I love candles :) I may be tempted to venture into Primark for this one! A little trick for when you want to burn the whole candle and not just the middle: Put some tin foil around the jar/tin the first time you burn it, so the heat will spread more evenly and all the wax will melt. Next time you burn it, the foil is not needed anymore, it will now work out fine! I purchased the £1 Primark candle in Firewood Fig. It smells wonderful in the jar but there is next to no scent when it is lit. I think my nostrils have been spoilt with the super aromatic smells of Yankee Candle so overall I'm disappointed but for £1 I can't really complain.